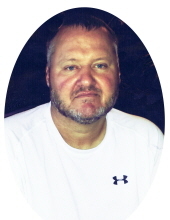 Christopher Dean Terry, age 51, of Meadowlands Drive, Morehead, passed away Wednesday, January 30, 2019, at St. Claire HealthCare in Morehead. Born September 3, 1967, in Pensacola, Florida, he is the son of Elizabeth Terry Lewis of Crawfordsville, Indiana. In addition to his mother, Chris is survived by his wife, Sherry Boyd Terry, whom he married October 31, 2003; three sons, Michael Terry (Samantha) of Crab Orchard, Zach Jones (Aariel), and Austin Terry, all of Morehead; one daughter, Tori Terry (Alex Barber) of Richmond; and five grandchildren, Hayden Lewis, Teysean Terry, Jensen Jones, Braxton Barber, and Gabby Terry. Other survivors include one brother, Ronnie Cruse of Olla, Louisiana; two sisters, Kim Kessinger (Bryan) of Crawfordsville, Indiana, and Lucinda Wilkins of Peru, Illinois; one niece, Chelsi Thompson; one nephew, Troy Finley; and many friends. Chris graduated from LaSalle High School in Olla, Louisiana, where he was a four-year starter on the football and baseball teams. He received a full scholarship for baseball but chose to serve his country in the U. S. Army from 1986 – 1992. He served in Desert Storm. Chris was a former truck driver, a security guard and paint technician for SGR Global, and a member of the Eastern Kentucky ATV Association. He enjoyed coaching Little League baseball and flag football and was Austin’s biggest fan. Chris also loved camping, playing softball, watching NASCAR, four wheeling, taking vacations, and was an avid fan of the LSU Tigers football and ladies’ softball. A celebration of life will be held at 1 p.m. Saturday, February 2, 2019, at Northcutt & Son Home for Funerals Memorial Chapel with Brother Herbert D. Lewis officiating. Burial will follow in Forest Lawn Memorial Gardens with full military honors by Morehead American Legion Post No. 126. Pallbearers: Michael Terry, Zach Jones, Darrell Ledford, Kyle Ledford, Patrick Jones, Roy Lumpkins. Honorary pallbearers: Austin Terry, Ronnie Cruse, and Rowan County Senior High School Football Team. Visitation will be from 6 p.m. to 9 p.m. Friday, February 1, 2019, at Northcutt & Son Home for Funerals in Morehead. To send flowers or a remembrance gift to the family of Christopher Dean Terry, please visit our Tribute Store. "Email Address" would like to share the life celebration of Christopher Dean Terry. Click on the "link" to go to share a favorite memory or leave a condolence message for the family.